Qhubeka Forensic Services was established in 2005 as a small entity focusing on forensic investigations and probes within the medical sector. Its birth was motivated by the rise in white-collar crimes within the said sector and the need for black-owned entities to play a significant role in being specialist investigators. The founders, coming from distinctly different backgrounds, SAPS and corporate, sought to create a partnership that would marry investigation expertise and a corporate culture, thus, establishing a high-quality firm founded on good principals and committed to producing excellence. “In the 12 years of operation, Qhubeka has seen steady growth,” says Sinenjabulo Zungu, the Chief Executive Officer. “We started small, doing the right things right. Our focus has shifted from mainly investigations to becoming a more holistic forensic firm providing more comprehensive forensic investigation services, and it has been a fulfilling journey. “We are continuously looking to expand our service offerings, using our current expertise as the base. We stay abreast of new developments within our industry and continuously strive to maintain and improve on our existing services, approach and quality,” she explains. 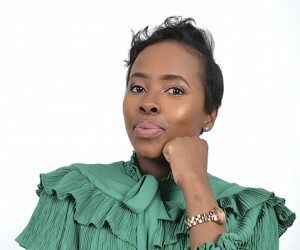 Zungu began her journey as the CEO of Qhubeka Forensic Services in 2017, following her tenure as the Marketing Manager at the same company. 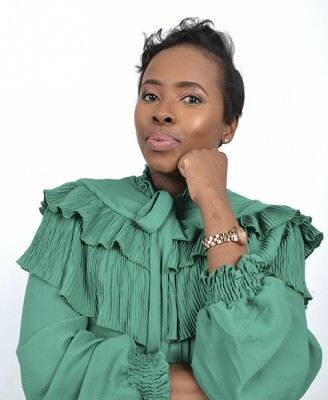 Having worked in marketing and sales roles in her young career, Zungu promises to usher in a new managerial flair, focusing especially on transformation on all fronts and unrivalled service delivery. Born in Umlazi, KwaZulu-Natal, Zungu matriculated at St Mary’s DSG, Kloof, in 2005 and is a University of Cape Town Business Science (Marketing Honours) graduate. She started her career in outdoor advertising as a Marketing Analyst where she was also a representative on the industry board, Out of Home Media South Africa (OHMSA), as part of the marketing committee. In 2013, she co-founded a biometric technology business, which saw her exploring her entrepreneurial flair. In 2015, she changed industries and had a stint in the FMCG space in one of South Africa’s most recognised grocery brands. She is also currently on the board of Pacinamix, a marketing and strategy consulting firm. Raised by strong women, Zungu sees herself playing a significant role in the upliftment and empowerment of young women in the workplace as well as in the South African context at large. “I am a firm believer in serving and leading by example. Great communication, exhibiting compassion towards your staff and allowing for conversation(s) go a long way because, when difficult decisions have to be made, it makes it that much easier to deal with. I do not believe in micromanagement. Allow your employees the liberty to perform beyond your expectations and motivate and reward them accordingly,” says Zungu. Qhubeka has achieved major successes in a variety of forensic disciplines and prides itself in executing its services with the utmost integrity, excellence, impartiality and accuracy, and, as a result, has become reputable in the industry for its quality services. “Qhubeka’s core objective is to provide dynamic and effective forensic auditing and investigation services that are timeous and cost-effective and, ultimately, setting the standards in the forensic auditing and investigation space. The company has a national footprint as well as some clients in Namibia and Botswana. In terms of the clients we service, we cover all sectors—public, local and provincial governments, SOEs and private (healthcare, logistics, FMCGs etc. ),” says Zungu. Qhubeka Forensic Services core services focus on forensic auditing and accounting, forensic investigations, fraud risk management, legal support and data analytics. “Fraud risk management is a proactive and ongoing practice of managing fraud, corruption and theft. It entails putting systems and procedures in place in order to circumvent and eliminate procedurally and unlawful behaviour in the workplace,” explains Zungu. In terms of litigation support, she explains that the Qhubeka team has a vast legal expertise, emanating from years of experience in private practice as admitted attorneys, as well as from investigations that lead to legal proceedings in both the public and private sectors. The strength and effectiveness of Qhubeka’s litigation support services come from the fact that the incumbent resources are not only legally qualified, but are also practising forensic specialists. “Qhubeka’s specialised computer forensic skills encompass both computer forensic services and data analytics. The larger, more complex disputes and investigations usually involve volumes of electronic documents, electronic mails and other forms of data. Qhubeka professionals are equipped with the tools and expertise to assist with analysing the various data and extracting the relevant and useful information with evidentiary value,” explains Zungu. “Services include compiling trend analysis, identifying anomalies through large data sets, data mining and analysis, data interrogation and the utilisation of quantitative and qualitative techniques and processes,” she adds. Qhubeka provides a solution-based approach, tailoring services to meet the clients’ individual requirements. “It is absolutely critical that we understand our client(s) and their needs. Our clients have very diverse businesses and areas of operation; a solution for a government department will differ from that of the healthcare industry, for instance. Therefore, a general, one-dimensional approach is, in our opinion, not going to address our respective clients’ concerns or add the required value that we strive towards,” explains Zungu. Qhubeka’s forensic professionals have proven ways to help clients address the risks and challenges of doing business in today’s environment, which include risks related to fraud, corruption and theft, and the challenges regarding how to proactively mitigate against these risks in the environment your organisation operates in. “We have fraud prevention initiatives to assist in this regard, which would include preventative initiatives i.e. fraud awareness training, detection initiatives i.e. hotlines, and responsive initiatives i.e. investigate irregularities. “Fraud risk management is a proactive approach to managing fraud risk within an organisation. It starts with the ‘tone at the top’ and all the people within an organisation must subscribe to it. Proper policies, procedures and monitoring will ensure the success of a risk management methodology,” she explains. The company is invested in their personnel and staff. It endeavours to recruit specialists with the required skills and knowledge for their respective areas of speciality. “We also have an internship programme, where we take undergraduates with limited experience and provide them with an opportunity to be mentored and to grow within the business. We have quality control processes in place on all deliverables that go out to clients, and this process further transfers skills to the rest of the team,” says Zungu. Recognising that the empowerment of the previously disadvantaged is critical to the progression and transformation of the country, Qhubeka is committed to making a meaningful contribution in this regard through development programmes and initiatives. “Our social responsibility and black economic empowerment initiatives are geared towards promoting accountancy and forensic investigation as a profession to previously marginalised individuals. “Qhubeka is passionate about education and related subject matters, and believes in investing in the dignity of our youth and empowering them in order for them to one day lead with integrity. As such, we have adopted a school in KwaZulu-Natal that we assist in various ways, from infrastructure through to educational material,” says Zungu. On what sets Qhubeka Forensic Services apart from its competitors, she says, “We are a medium-size B-BBEE forensic services practice. We are, therefore, not too small to fulfil large assignments, and we are not too big to have uncompetitive rates. We can service clients nationally from our offices. Qhubeka has experience in a myriad of sectors, there is no sector it has not dabbled in. We have a passion for what we do and an even greater passion for uplifting and empowering the youth through training. “Our vision is to be the beacon for setting optimal standards in the forensic auditing and investigations services and to provide best value services and solutions,” concludes Zungu.